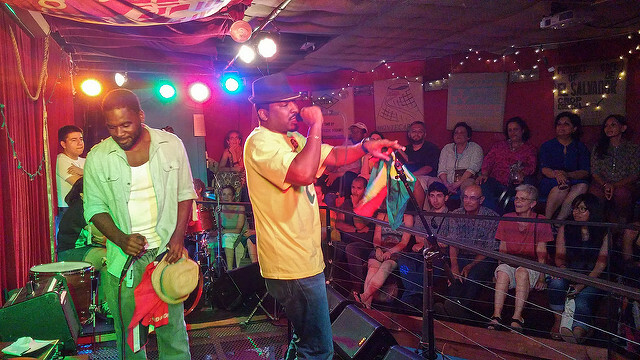 Join us in celebration of the diversity of Queens through borough-inspired stories and music! 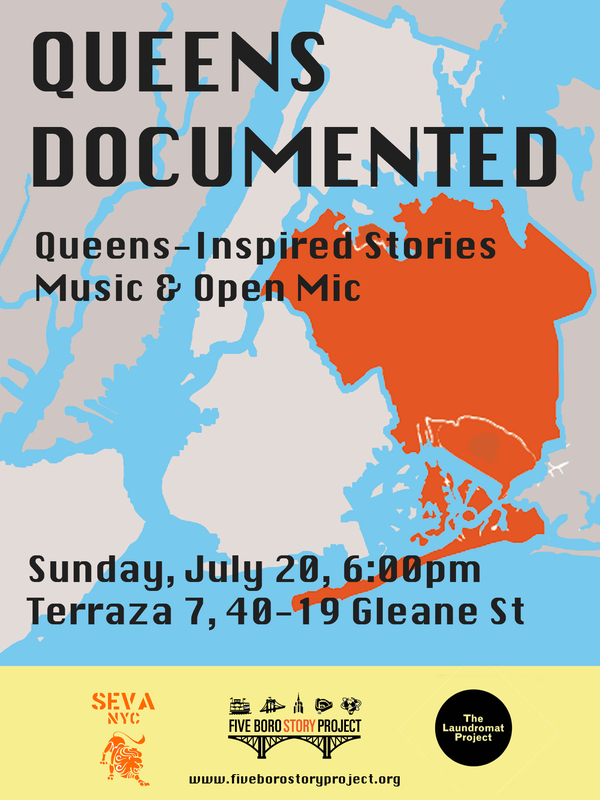 Queens Documented will feature true stories about the journeys that led people to come to Queens, music and poetry inspired by the borough, and an open mic session that invites all to share stories, memories, music, and reflections on their own experiences of journeying to and within Queens. Share your own stories in our Open Mic! Queens Documented is produced in partnership with SEVA. This event is the second installment in the Neighborhood Portrait Series, commissioned by The Laundromat Project‘s Create Change Program. View “Queens Documented” photos HERE.